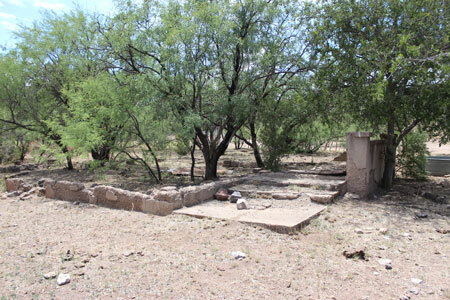 The old Rosemont Camp, today identified as Rosemont Junction, is located about 40 miles southeast of Tucson on the northeastern slopes of the Santa Rita Mountains. A small smelter was erected at the junction of Wasp and Barrel Canyons in 1894 to process the copper ores from several mines in the area and the Rosmont Camp grew up around it. The smelter blew up in 1895, but new owners installed a second smelter at the same location, and by 1900, there was a hotel, a post office and several stores. The miners of the day did not live at Rosemont Camp. 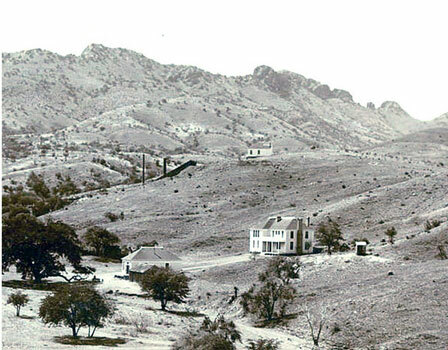 The hundred or so workers chose to live closer to their work at the mines located at the head of Wasp Canyon further to the west. Copper ore was transported down to the smelter and supplies were carried back to the mines from the camp. A nationwide recession in 1907 shut down the mines and the smelter. The camp was nearly deserted by 1910 when the post office was closed. While there was a brief resurgence of mine activity in the 1920's, the area never returned to the level of production reached at the beginning of the century. The long period of inactivity since may soon change. A new open pit operation seems to be imminent. 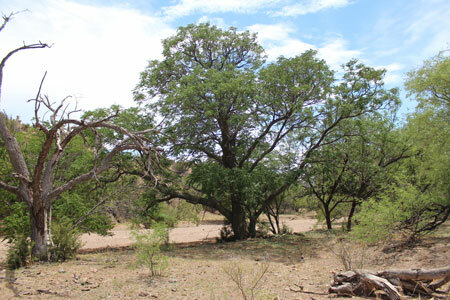 Preliminary work has been done in anticipation of the mine opening. In the 2013 photo, a cleared area can be seen in the center of the photo. That will apparently be ground zero for the new mine. The photo above from 1900 shows the two story Rosemont Hotel. The building to its left is thought to have been a store/mine office/post office. Diagonally up from the hotel can be seen the stacks and an ore chute at the smelter. 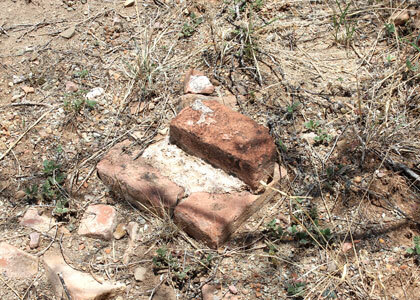 Today, little remains of the Rosemont Camp. 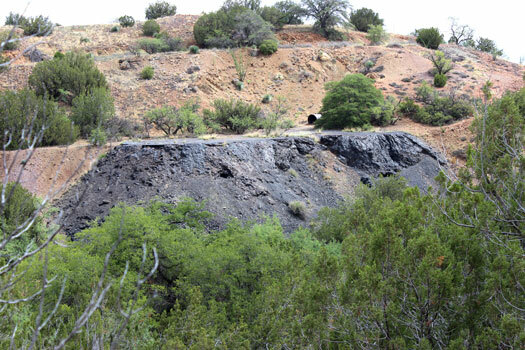 At the smelter site, there is a pretty large slag dump extending into Wasp Canyon from a large platform that was excavated into the hillside. Unused piles of coke, fluxing limestone and unsmelted ore can be seen around the smelter site. A large metallic cylinder is lying on the slag pile. 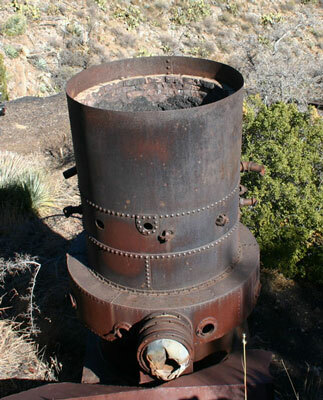 Several authors have stated that the relic is an old boiler. I think that it may be something more interesting. 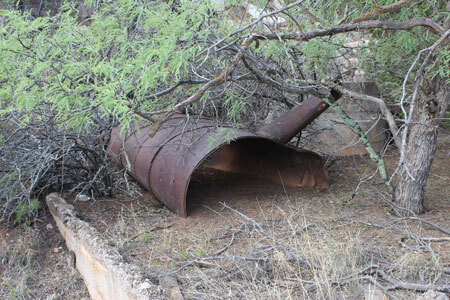 Could it be a part of the old smelter's furnace? 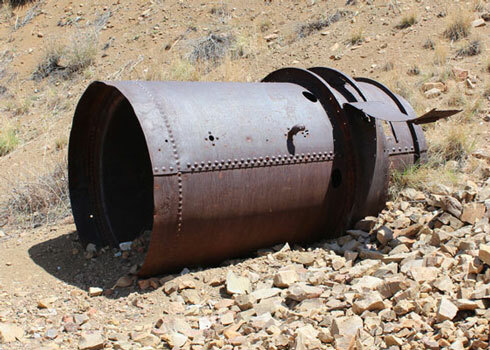 It looks very similar to the blast furnaces that were used at the Table Mountain Mine about 75 miles north of Rosemont. Two views of the relic seen on the smelter's slag dump. Could it have been part of the smelter's furnace? 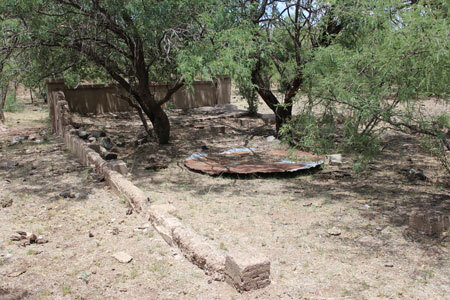 As can be seen in the photo above from 2013, none of the camp's buildings present in 1900 are still standing. The bases of the brick fireplaces and the porch pillars to the Rosemont Hotel can be found however. There is also an extensive trash dump to the east of the hotel site. 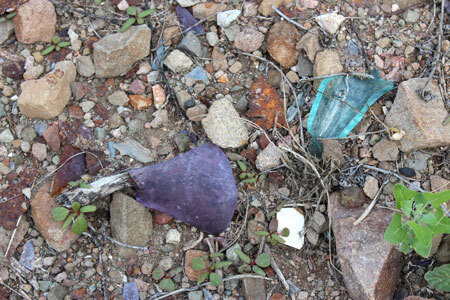 There are many pieces of old glass and metal cans that date back to the time of the hotel. 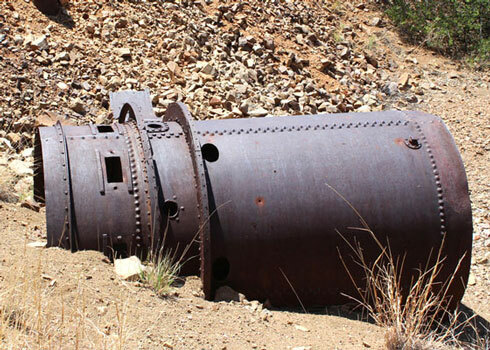 In a side canyon near the Rosemont Hotel are the remains of a flotation reduction system that was installed when the mines re-opened in 1920. 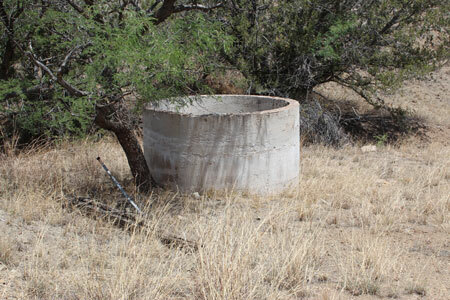 The system consisted of a concrete tower that supported a water tank. 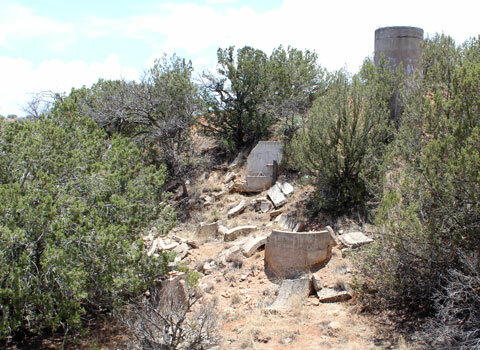 Arranged at different levels below the tower were four concrete tanks about 8' in diameter. It is thought that the system was used to concentrate the ore materials through a process of multi-stage flotation. I really do not understand how this system actually worked. Apparently in the 1980's, connecting chutes, plumbing, and a metal sluice were still present. 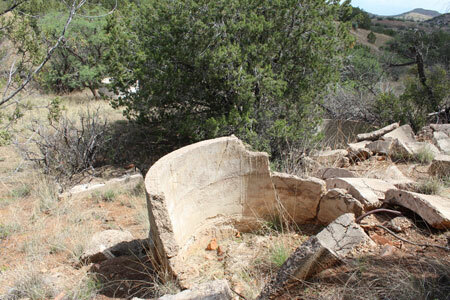 There is another set of ruins near the Smelter/Hotel site. 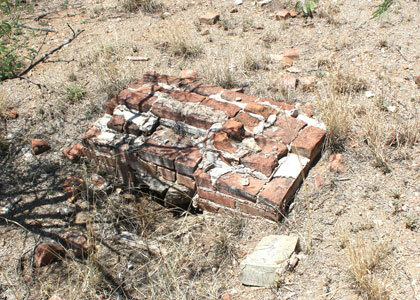 Those are the remains of a Forest Service Ranger Station that was set-up in the 1920's. The station had a veranda along its west side. 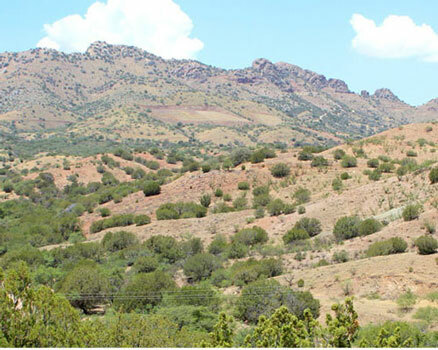 Nothing remains of the locations in upper Wasp Canyon where the old miners lived and worked. Those areas have been swept clean and are in the process of being "reclaimed". 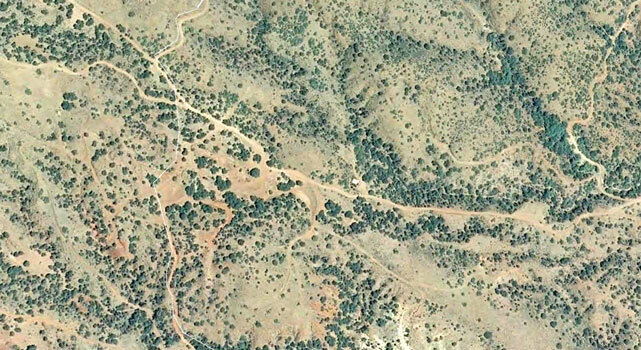 That reclamation work can be clearly seen in this Google Earth photo of the area.